Chinese authorities have removed two teachers and a school official in Tibet as a result of their alleged involvement in protests by Tibetan students over the issue of language rights earlier in 2012. Two educators and a school official have been removed from their posts following widespread language-rights protests earlier this year  by Tibetan students in northwestern China, as Chinese authorities continue to clamp down on assertions of Tibetan cultural and national identity, according to a local resident. Speaking to RFA on condition of anonymity, a Tibetan resident of the area identified the school official as Tsenden Gyal, 48, of the Tsekhog county education department in Qinghai province’s Malho (in Chinese, Huangnan) Tibetan Autonomous Prefecture. The teachers were identified as Pado, 42, head of the county’s Middle School No. 1; and Jigdo, 44, head of the county’s Middle School No. 2. The date of their dismissal was not clear, but the firings are believed to be linked to demonstrations in March  by Tibetan students in three Qinghai counties protesting a proposed change from Tibetan to Chinese as their primary language of instruction. 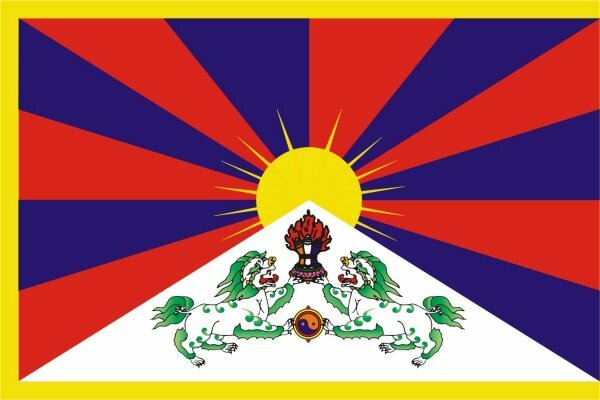 The first protest occurred on March 4 , when around 700 students from the Rebkong County Middle School of Nationalities returned after a holiday break to find their textbooks for the new term written in Chinese, the London-based rights group Free Tibet said in a March 8  statement. “They started ripping the books up and tried to march into the town to call for language rights,” but were stopped by their teachers from proceeding into town, the group said. The protests were joined a week later by students from Tsekhog and Kangtsa counties who called for “equality” and “freedom for language,” other exile sources said, quoting local contacts in the region. In Tsekhog, students also called for the removal of a local Chinese military barracks, one source said. Security forces quickly arrived at the scene, but no beatings or detentions of students were reported, the source said. Tensions have heightened in Tibetan-populated provinces in China and in the Tibet Autonomous Region following a Chinese security clampdown and a wave of self-immolation protests challenging rule by Beijing.